Teen Mom 2 Star Leah Messer Comment Shames All Her Ex's! Teen Mom 2 Star Leah Messer Comment Shames All Her Ex’s! We all know that Leah Messer had a troubled relationship! The Teen Mom star got pregnant when she was 16 and after sometimes she found that they were twins! “Dude I feel embarrassed for being married twice!” Leah was worried what if her next relationship doesn’t work out? In 2015, Leah heads to rehabilitation. She checked into rehab to be treated for an addiction to prescription painkillers, and (allegedly) to try and save her marriage. Unfortunately, Jeremy finalizes the divorce in 2015. But after that, she dates one more but doesn’t work out! But she comes with a new man! Leah Messer and Jason Jordan! It was reported that she has been dating him for several months. The things between them have been going well. Well, she posted a photo of her daughter with the daughters, but behind the camera, he was caught flirting! After flirting she posted, “but being with you was the most incredible part of my evening,” which hints that she is hanging out with him. Fans reacted to it quickly! Fans quickly reacted to her flirty conversation. One of her fans wrote. “oh heck yeah, Leah, you got something to tell us?” and “wait is this her new man? !” People were thrilled by the idea, with one fan writing, “Leah, you got a new boo? If so, you deserve it girl!” And that’s totally true. Leah is a devoted mom, and she’s been single ever since she split from Jeremy in 2015. 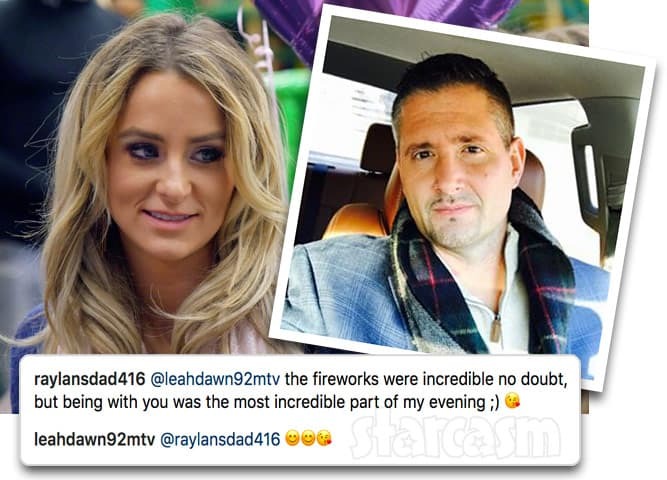 Leah Messer goes Instagram official with her beau! Leah talks about the relationship! Leah’s mother has given the seal of approval! She talks about the relationship “The goal is just to learn [about] each other,” she told the sources. “Even today, 7 to 8 months in, I’m not rushing anything. I just want to enjoy the time now.” “They love hiking, cooking and are both very family oriented. He’s very attentive”, an insider told to the sources. Leah gushes something positive about the beau! This Famous 90 Days Fiance Star Is Almost Bankrupt! But Who?